Don Leonard is a tax accountant and partner at AFP. As a Certified Public Accountant, Don has served clients for almost 40 years throughout the United States, specializing in tax return preparation, tax planning and business consulting for individuals and small businesses. Don has a passion for supporting clients personal and business goals through thorough tax planning and business consulting. Prior to joining the firm, Don was a partner at Gardner and Company working in tax and audit for 9 years. Don graduated from Florida State University with his Bachelor of Science in Accounting and was a member of Beta Alpha Psi, the international honor organization for financial information students and professionals. 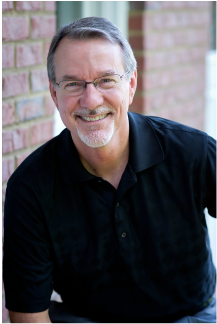 Active in his community Don serves on the worship team and is an Elder at Tapestry Community Church in Roswell, Ga. He is also a member of the American Institute of Certified Public Accountants and the Georgia Society of Certified Public Accountants. Don enjoys riding motorcycles, playing the bass guitar and traveling with his wife, Beth. Don and Beth live in Roswell, GA with their 2 dogs. They have two adult daughters, Hannah and Kiki.